The Hired Man’s Clock is a fictional story demonstrating how the life of one simple, but godly man, even after his death was used by the Lord for His glory. The book is not a true story; it is from the author’s imagination. But it could be factual because most of the incidents were based on happenings he had experienced or had heard of. The Hired Man’s Clock is a series of stories. Each chapter is complete in itself yet each has connections with the others. In every chapter, some details which seem insignificant become meaningful in others. May the Lord be honoured and may He be glorified through the story of The Hired Man’s Clock. 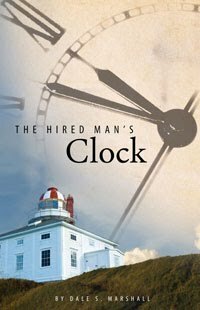 The story is set in Canada and covers over 80 years, showcasing events and times of different people's lives who all are connected to the clock. This book is a hard-to-put-down read, very well written and bringing in important Biblical truths and practical Christian living without preaching at the reader. Very enjoyable for youth and adult alike.